With 30 years of industry leading experience, when International Vault says we deliver the best in physical asset protection, we have the testing and certifications to back up that claim. Few competitors in the vault industry can match the consistent quality standards offered by International Vault, Inc.
An industry leader serving the needs of government and military agencies, International Vault routinely provides physical security solutions to the Army, Navy, Air Force, and Marines by meeting specific General Services Administration (GSA) and Military Handbook certifications and requirements for modular vaults, vault doors, and pre-assembled modular armories. 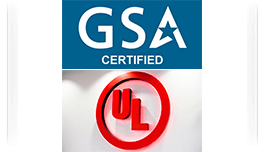 All of our military and government grade products must pass Underwriters Laboratories (UL) testing before going on to achieve Government Service Administration (GSA) certification. 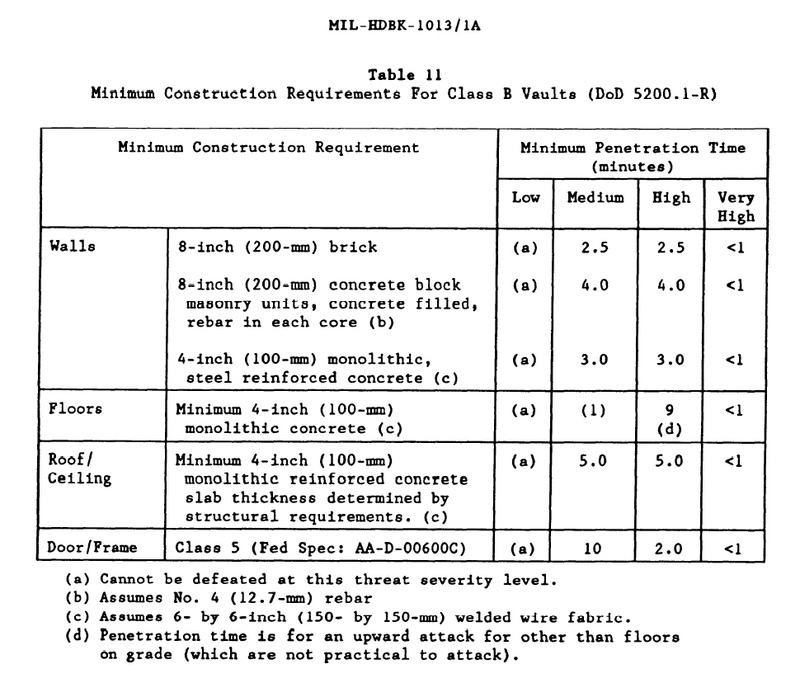 For offices referencing the Military Handbook - MIL-HDBK-1013/1A (MILITARY HANDBOOK: DESIGN GUIDELINES FOR PHYSICAL SECURITY OF FACILITIES), International Vault offers turnkey solutions by providing modular vault construction meeting the Minimum Construction Requirements detailed in section 5.4 (pages 105-108) for both Class A Maximum Protection and Class B Adequate Protection vaults. Both Class A and B Vault specifications require vault doors and frames meeting Class 5 federal specification AA-D-600C. International Vault is the only company in the world making a lightweight modular panel meeting GSA certification. 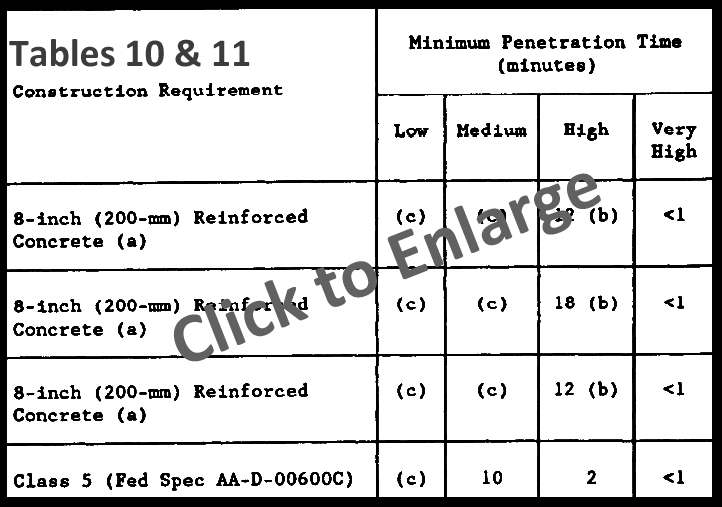 Penetration threats are classed in the Military Handbook as Low, Medium, High, and Very High. Low level attacks correspond to the use of simple hand-held tools. The medium level is comprised of all hand-applied and some battery-operated tools. 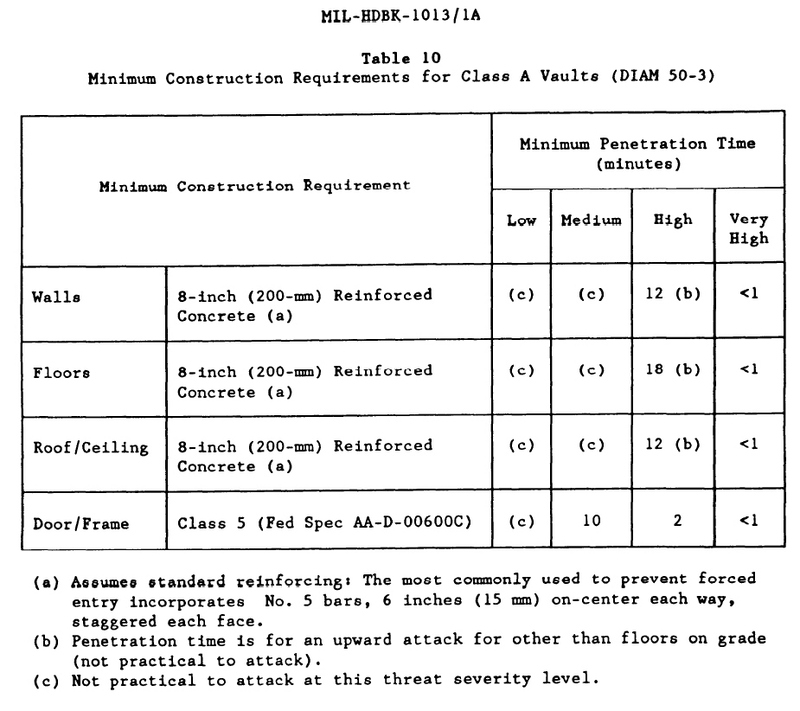 High level attacks include the use of power tools such as burn bars, jackhammers, and more. Very high level threats include the use of explosives. The Military Handbook ratings are comprehensive, covering both vault panels and vault doors, as well as locks and video/audio surveillance and communications systems. International Vault offers a variety of customizable vault solutions meeting Military Handbook requirements, including our MegaCrete Vaults, Pre-Assembled Modular Armories, Lightweight Vaults, and Scimitar Vault Doors. Parts and Component Makers chosen as government suppliers. Warehouse Facilities and Manufacturers storing parts for government and military use. Cultivation and Dispensary operations in the new field of medical marijuana. International Vault brings decades of experience to the table in engineering, manufacturing, and installing complete vault solutions in each of these industries, meeting the toughest world-wide standards. To learn more about the security standards and ratings of International Vault products, Contact Us today or call us at 1800 465 656.